What can you do with a bunch of nuts, seeds, dried fruit, and chocolate (yes, most definitely, chocolate)? 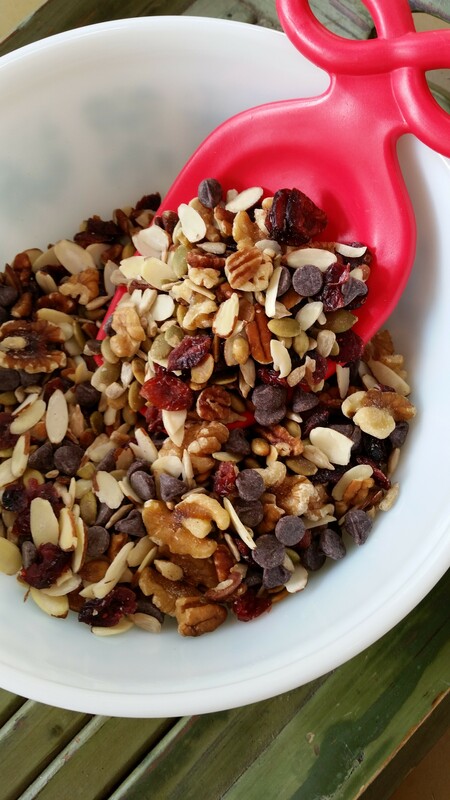 You can make your own trail mix! We grabbed a variety of nuts that we always have on hand… ½ cup of each of walnuts, almonds, and pecans. Then we added in ½ cup of pumpkin seeds, and ½ cup of sunflower seeds. We LOVE dried cranberries so we put in ½ cup of those and topped it all off with ½ cup of Ghirardelli dark chocolate chips! What is easier and nutritious to boot? It has a great combo of carbs and energy. 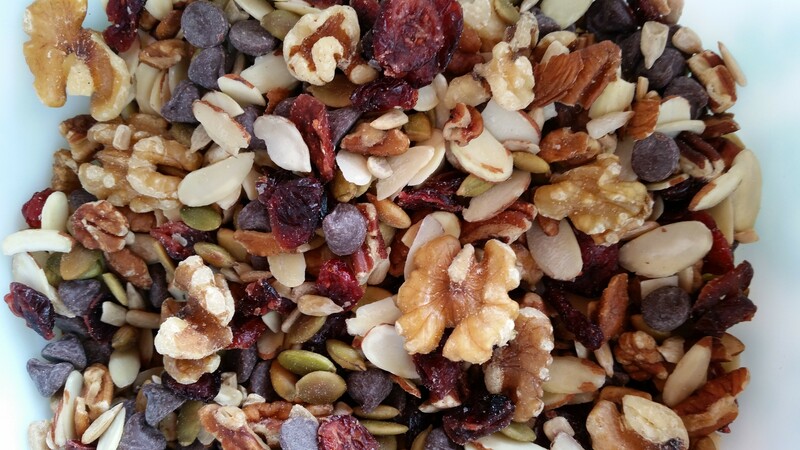 Trail mix is THE snack for hiking, biking, and exploring! 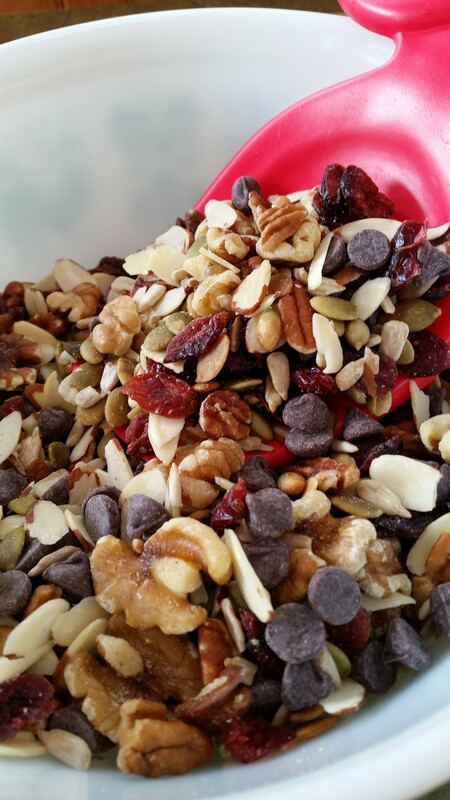 Trail mix is so versatile that your ingredients are only limited by your imagination! Some of our favorited additional ingredients include puffed rice cereal, M&Ms, pretzels, unsweetened coconut, or anything else that is trail mix worthy! Just make sure that your ingredients are gluten-free, and you are set to go! 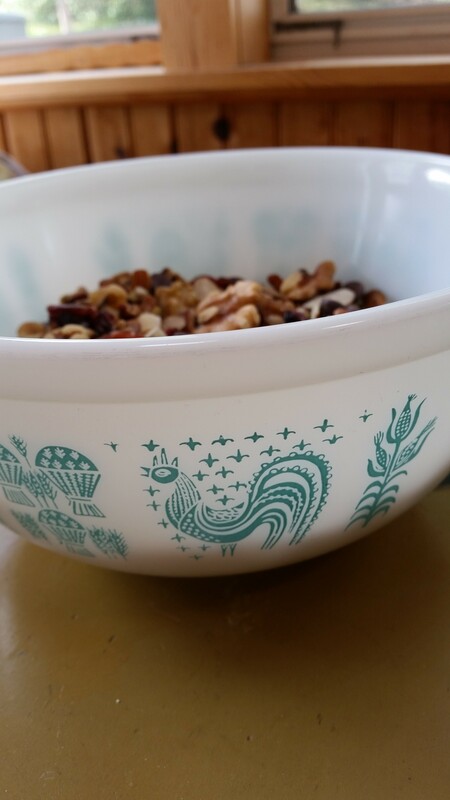 And did you notice that our trail mix is in a collector Pyrex bowl? 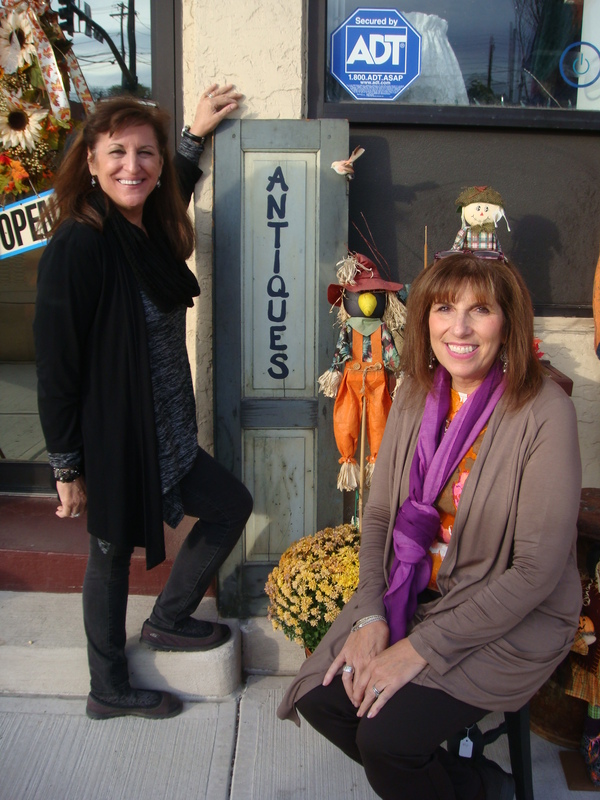 Just picked it up at our favorite antique shop, The Shop 2….check them out! Have a great day…wherever your travels may take you! Smoothie recipes are everywhere! 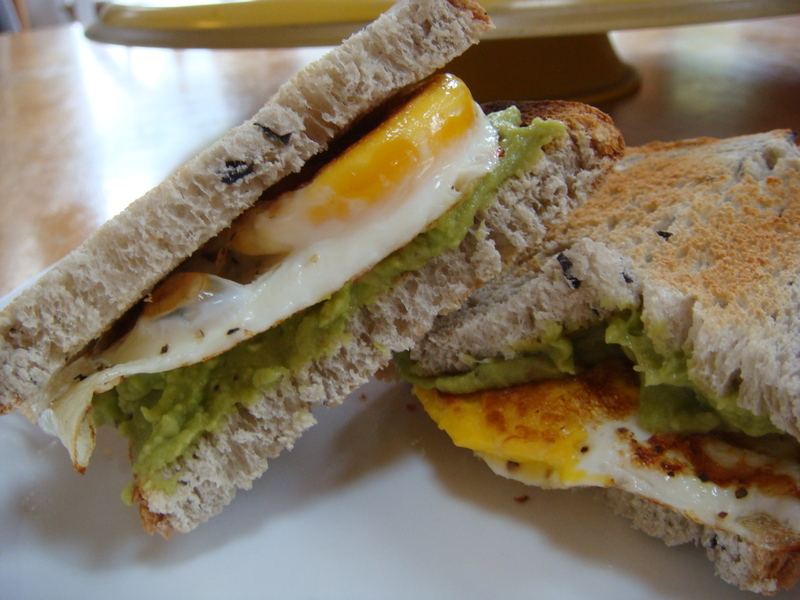 They are THE go-to breakfast or energizing snack in the afternoon! 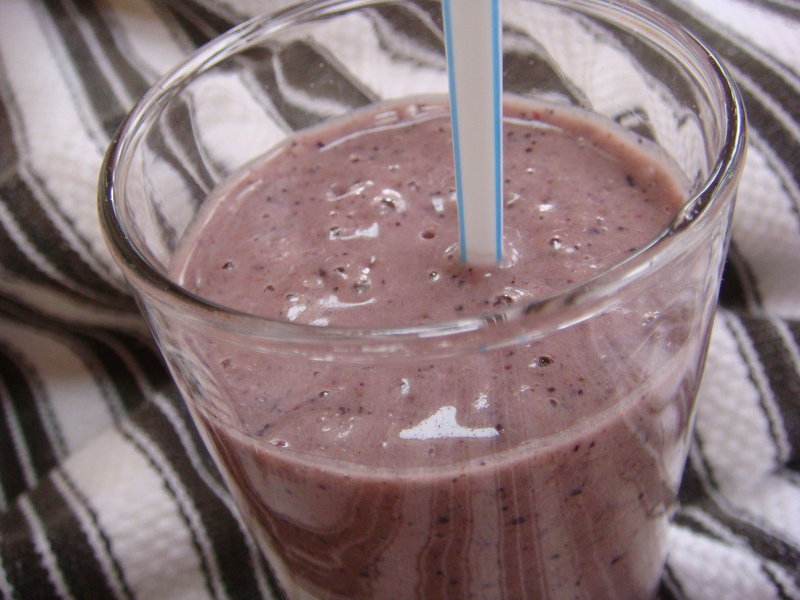 If you have a blender, you can make virtually any smoothie! Smoothies are quick and easy, help you get more fruits and veggies, and can sustain your energy for a longer time! And did I mention, FUN? If I didn’t…FUN ranks right up there! 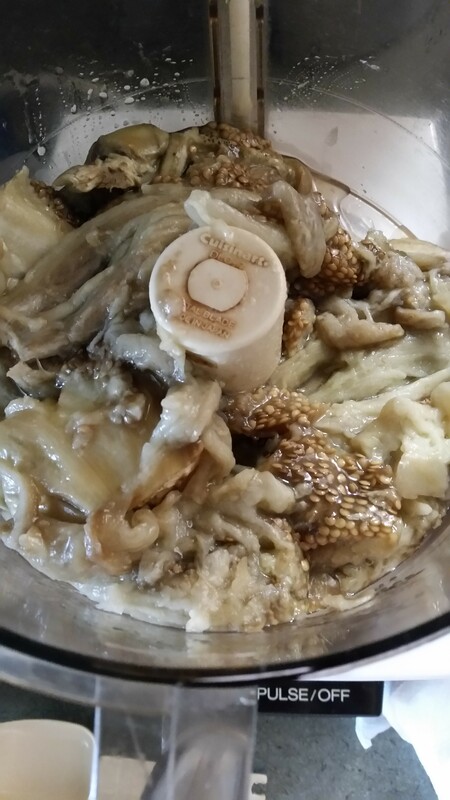 I LOVE listening to the whir of my HealthMaster™ blender (Montel Williams Living Well series)….yes, we got sucked into the infomercial and resisted, however, when we saw it at our local Boscov’s, we purchased it (and are happy to say it has been great)! Anyway, the blender itself comes with a Smoothies and Power Drinks recipe manual and additional titles for making soups & sauces, appetizers & dressings, and desserts & ice cream, as well as an eating plan. I’ve collected quite a few recipes into a “Smoothies” file, and I downloaded the Smoothies for Migraines ebook onto my Kindle, along with a few other titles. When I first started blending my smoothies, I followed the recipes to the T.
It all depends what’s in the refrigerator and on the countertop….these ingredients will become my smoothie for the day! 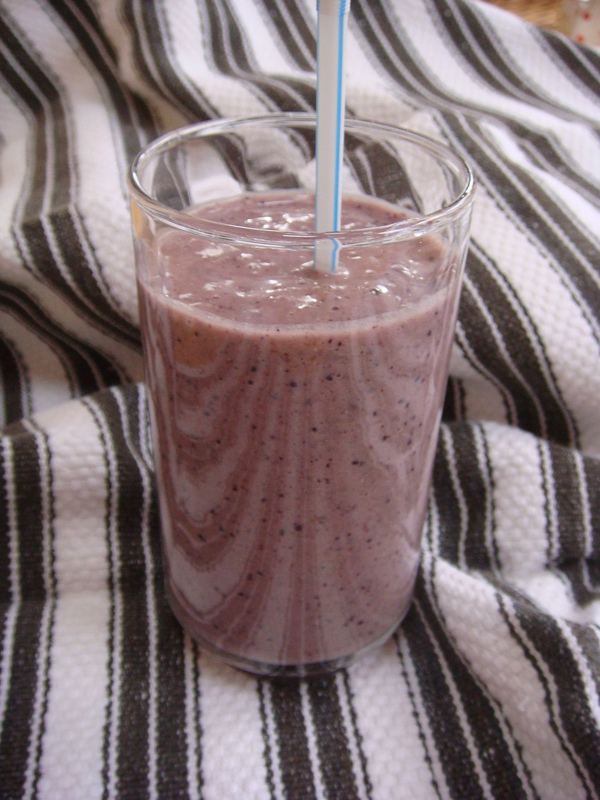 A favorite of mine that I make fairly often is a nut and fruit smoothie. 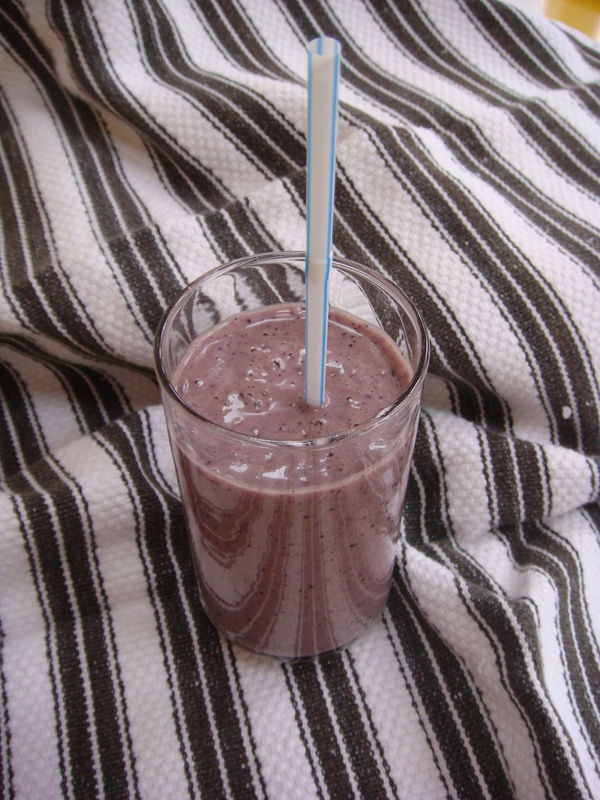 This one was made with 1 cup of fresh blueberries, ¼ cup of natural peanut butter (no sugar added), 2 very ripe bananas, 2 T chia seeds, 2 cups of vanilla soy milk and 6 ice cubes. and the blend of blueberries and peanut butter round it out! So if you haven’t become part of the smoothie craze, I would suggest that you join us! Celiac Awareness in an unlikely place! I was hoping that my partner, Daria (my daughter), might be able to join me in this adventure, but just having started as the Executive Pastry Chef at The Mill in Hershey, I knew it was a longshot! “Yes, I’ll do it!” was my response to Carmine. She wasted no time in letting the association who coordinates Hazleton’s Second Friday about my visit, and the next thing I know, I am speaking with Jill Whalen from our local newspaper! Here is the result of my phone interview! 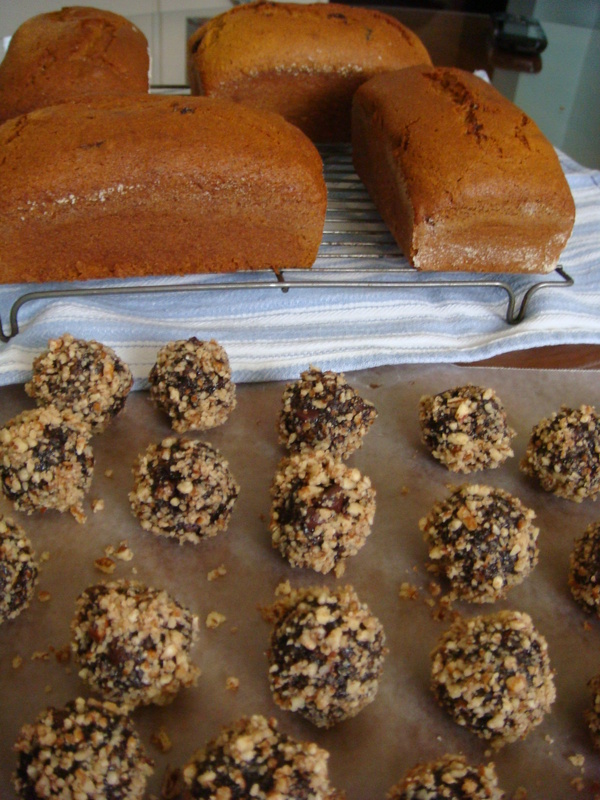 Alright…now to decide on which gluten-free goodies I will make for the open house. It’s fall and what do most people crave in the fall? Pumpkin? Chocolate (that’s a given)? Apples? So I immediately go on a hunt for recipes….if you’ve read any of our previous posts on this blog, you will remember that I am a recipe addict! I have tons of recipes written down on paper, too many cookbooks to name, and a recipe file on my computer. 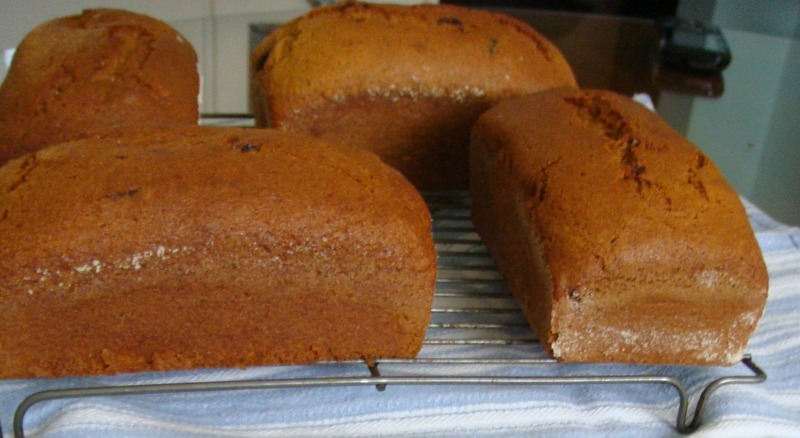 Pumpkin, pumpkin, pumpkin….how about a great pumpkin bread? I look over a few recipes and then consult with Daria and viola! 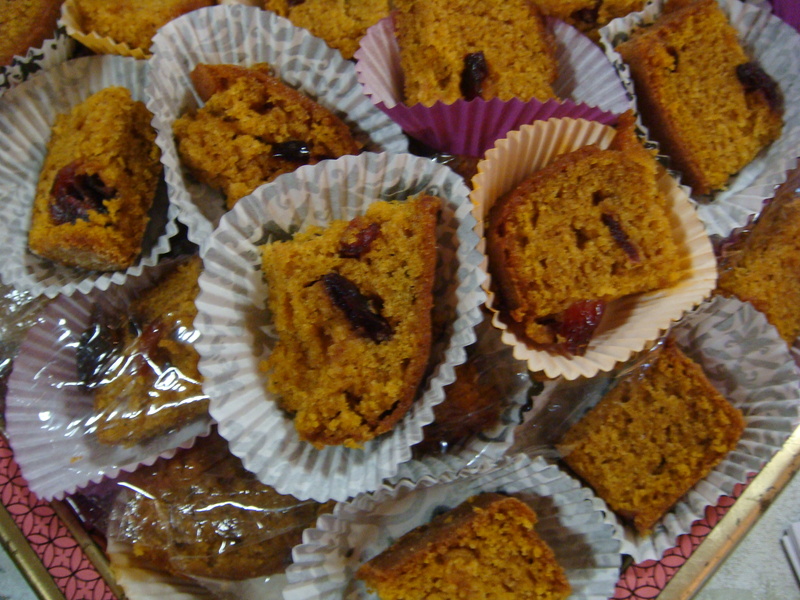 A pumpkin bread recipe is born! Preheat your oven to 350˚F. Grease with shortening and flour with brown rice flour, two 9 x 5 inch loaf pans, OR one 9 x 5 and 4 small loaf pans (which I did). Whisk all of the dry ingredients together. In another bowl mix eggs, oil, and orange juice. Then add the sugar and pure pumpkin. Blend on medium-high if using a stand mixer or handheld mixer until thoroughly combined. Now add dry to the pumpkin mixture. Mix until well combined. Stir in the dried cranberries if you are adding them. Bake for 45 minutes to one hour. Watch the small pans if you are using them! You may need to adjust the time. Cool for at least 10 minutes in pans before attempting to remove them. Let the breads cool completely on wire racks. Chocolate, chocolate, chocolate….how about a no-bake recipe? 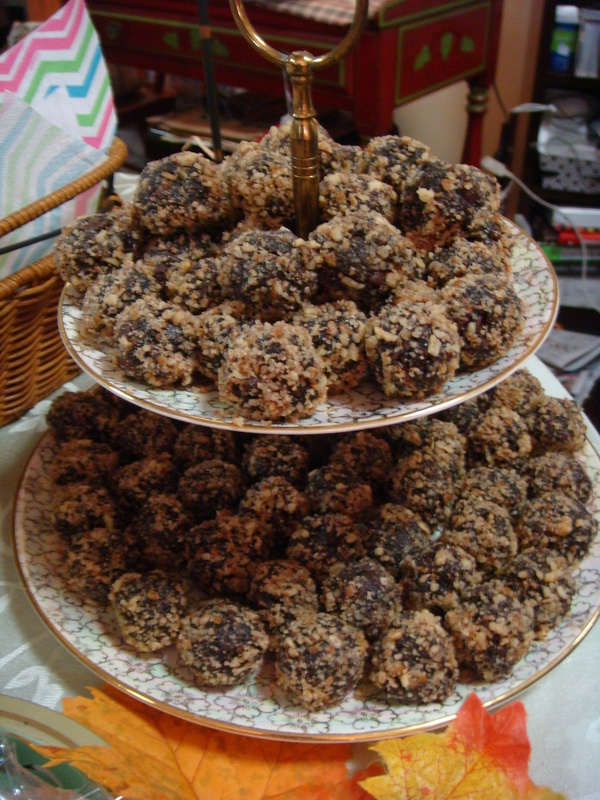 Daria’s friend Amanda visited with us a while ago and brought with her some delightful no-bake chocolate balls. 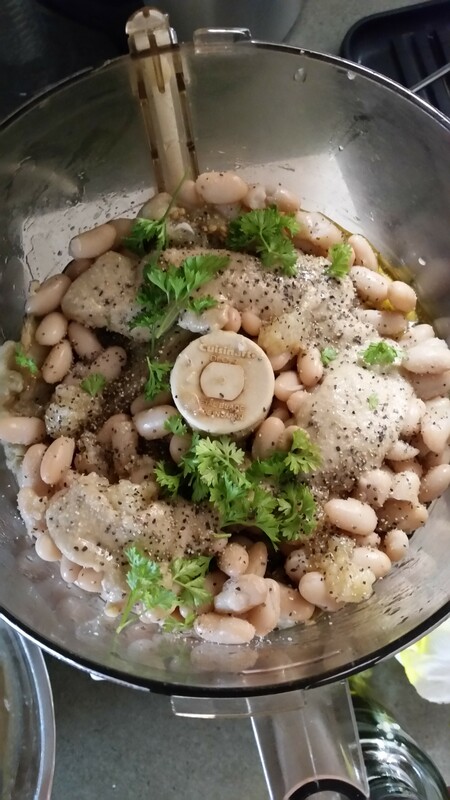 So thanks to Amanda from Michigan for this recipe! Using a food processor, pulse almonds and pecans until finely chopped. Add salt, honey, cocoa, vanilla, shredded coconut, chocolate chips and zest. Roll chocolate mixture into 1” balls. Roll each ball in crushed pecans. I used Hershey’s Special Dark Cocoa Powder and Ghirardelli semi-sweet chocolate chips. Rolling the balls is super messy…. and you lose too much of the dough, because it’s so sticky! I ended up forming balls with my fingertips. Much better! 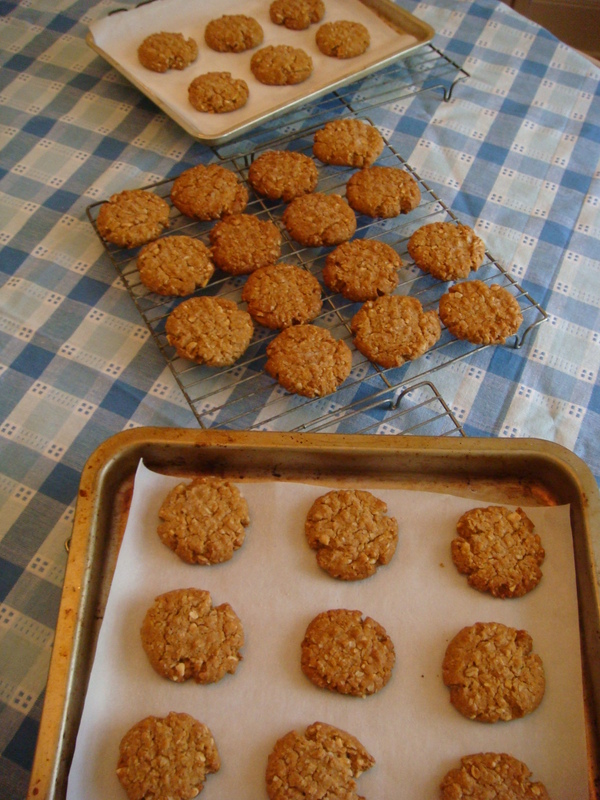 I made this recipe twice…did not double it initially due to the size of my food processor. In total the 2 recipes yielded a little over 7 dozen balls. Apples, apples, apples…apple pound cake, anyone? A great gluten-free blog that we follow is Gluten Free on a Shoestring. 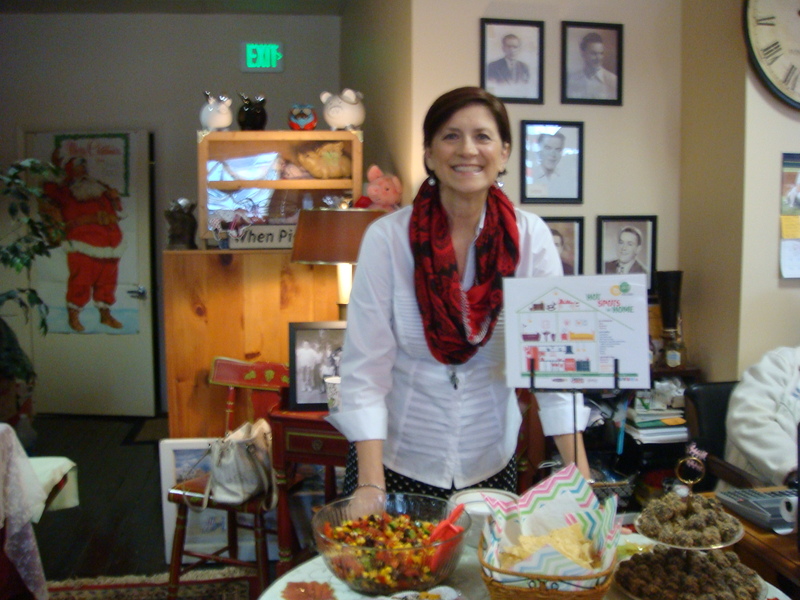 The author of this blog, Nicole, has written a few cookbooks, in addition to her blog. We have found them to be wonderful additions to our gluten-free library! 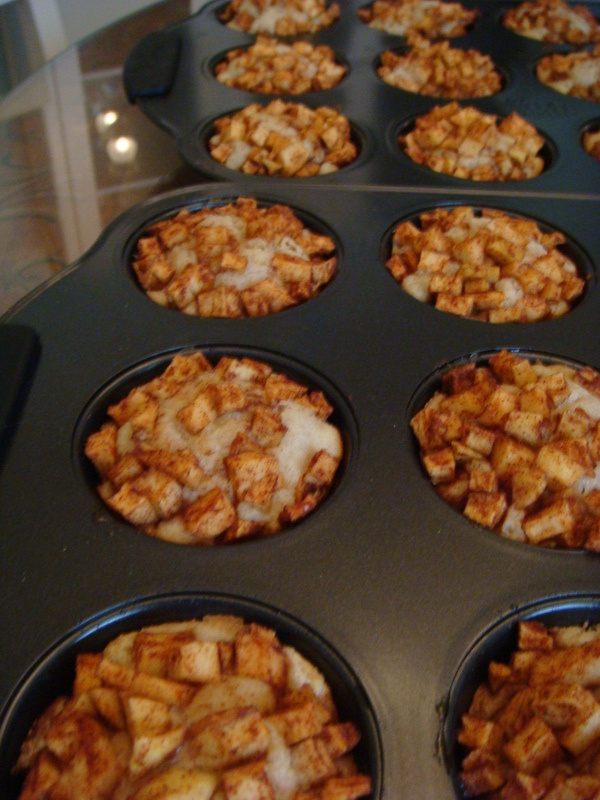 These apple pound cakes are her recipe. 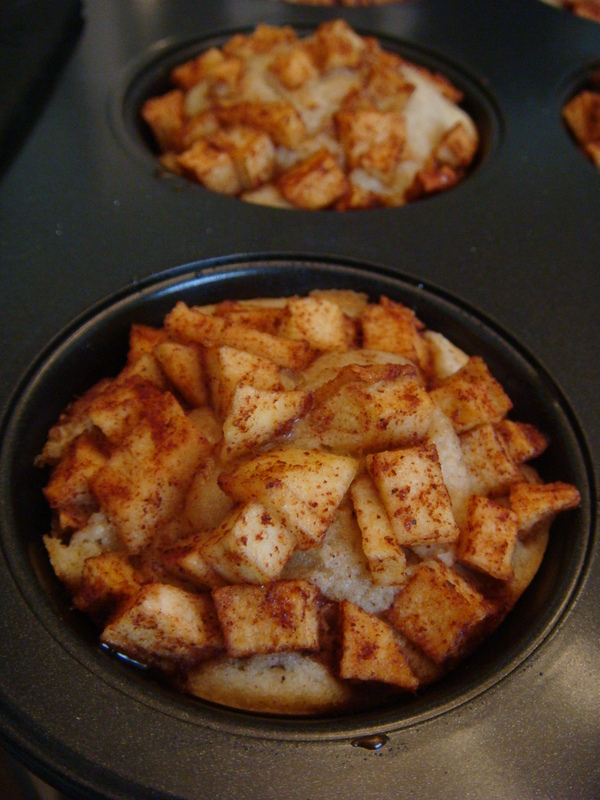 She calls them Starbucks-Style Gluten Free Apple Pound Cakes. The batter is delightful….with the addition of the cinnamon, it took everything in me not to just eat it! Oh my goodness…these little cakes came out great! 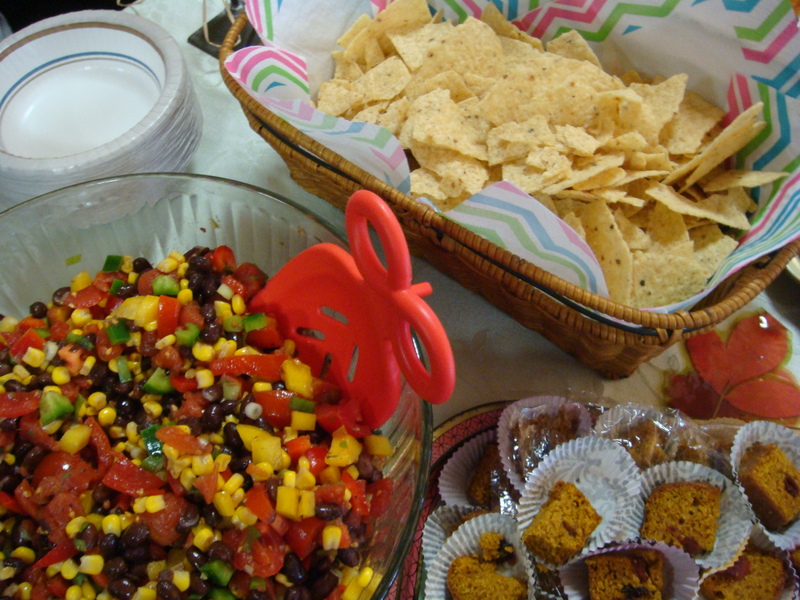 Last but not least, I wanted to have a vegetable dish for our gluten-free celebration and decided on a Black Bean Salsa. It’s easy and has a great flavor profile! Combine all ingredients in a large bowl. 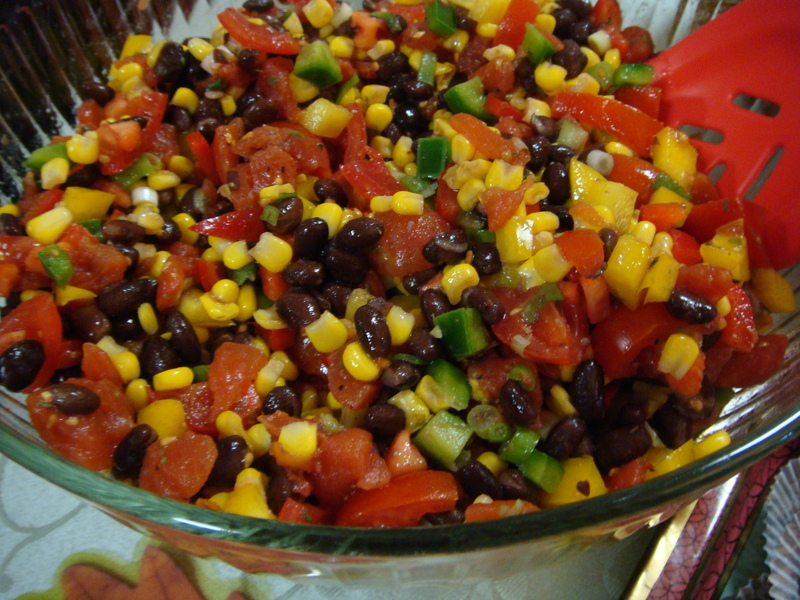 Season the black bean salsa to your taste. 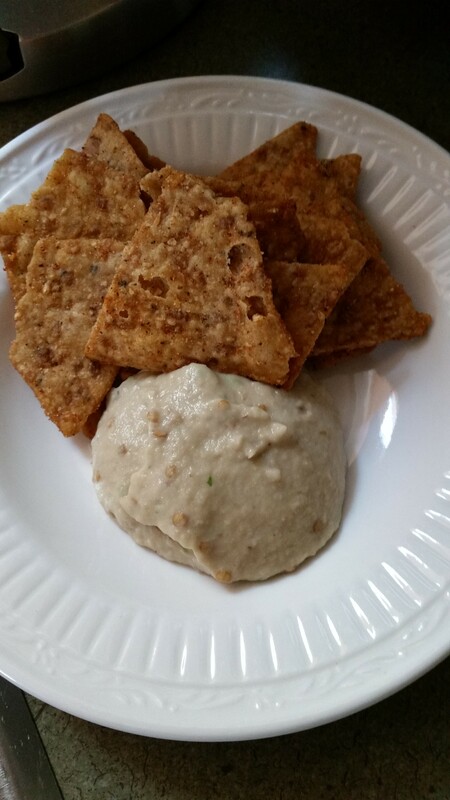 Serve with gluten-free corn chips or any of your choice! I served Garden of Eatin’ Organic Tortilla Chips. 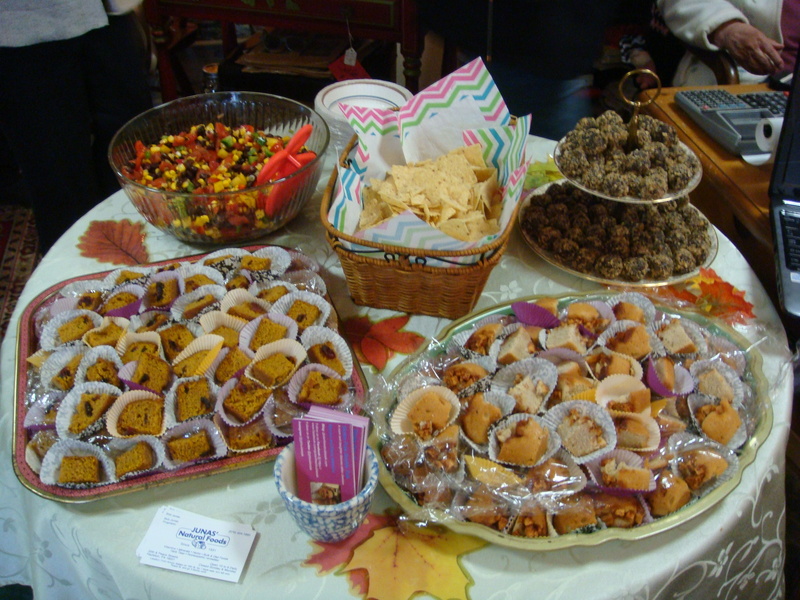 All in all, we had a great little spread of gluten-free goodies for our guests! Yes? I can’t tell you how excited I was to meet so many people last evening who are fellow celiac disease sufferers. Many told me of their struggles and triumphs with this autoimmune disease while others who were just diagnosed, were looking for some guidance. 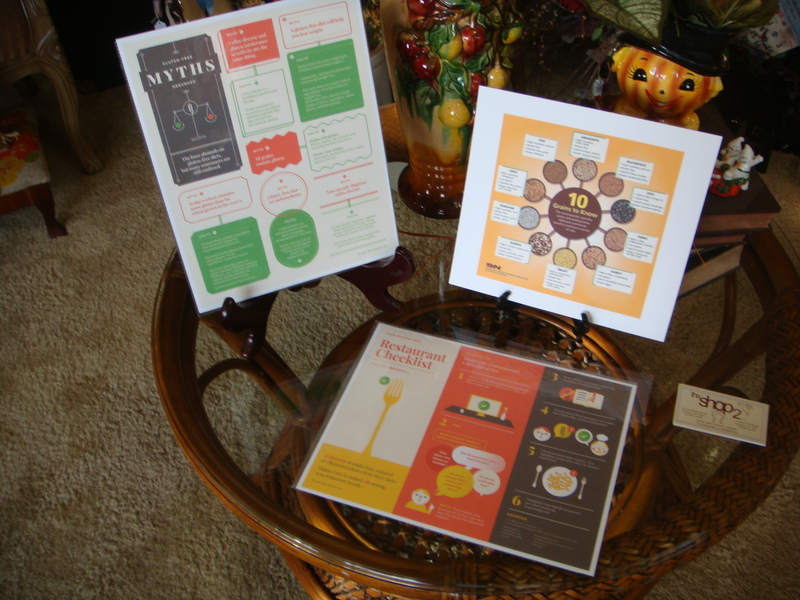 While I had my blog up and running during the open house, I also prepared some handouts and had many posters scattered throughout the store, regarding celiac disease and gluten sensitivity. 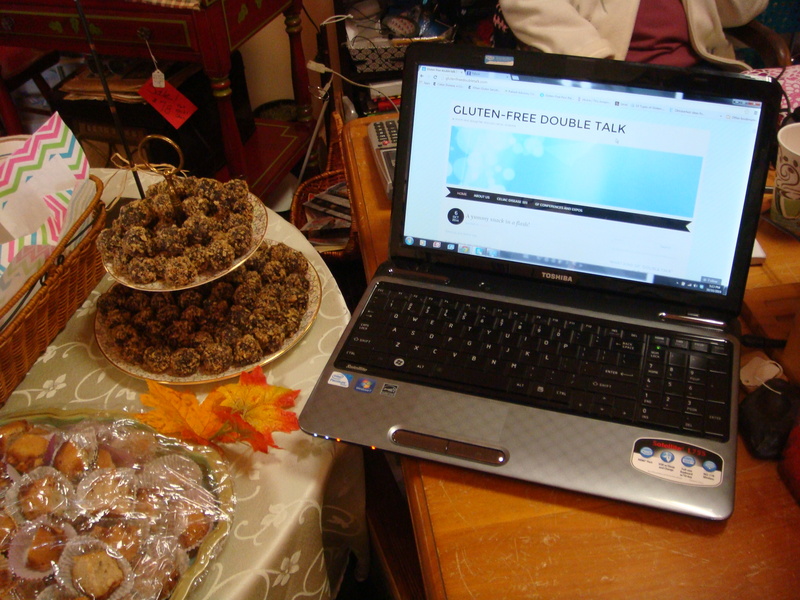 If anyone would like any of the information I shared, just email me @ glutenfreedoubletalk@gmail.com, or comment here; I would be happy to share! 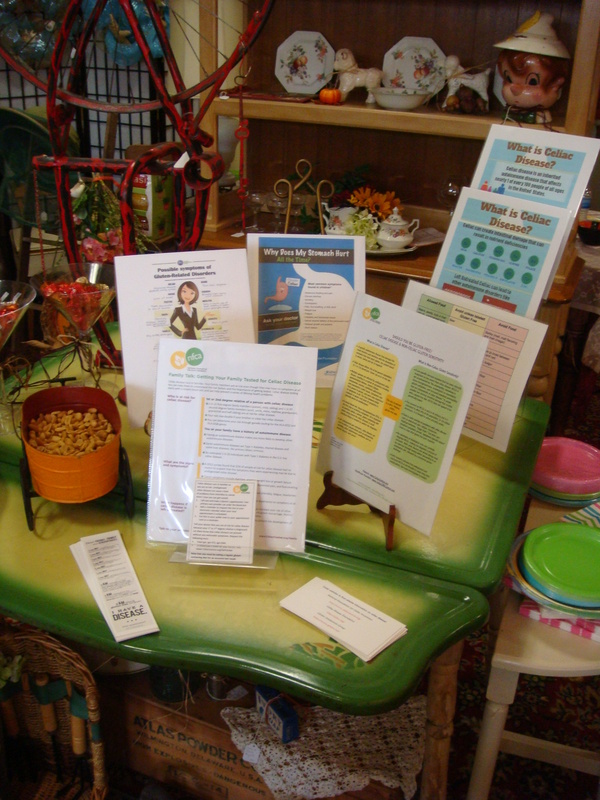 Thanks to The Shop 2 for helping to spread celiac awareness! You two are the best! Hoping everyone got something out of the experience! I know I came home happy! A yummy snack in a flash! If you’re like us, we love to snack. And finding a decent snack, when you’re really hungry can sometimes be a problem…you want to make a good choice, but oh, those cookies look good, don’t they? Well, the key is to keep your refrigerator and pantry stocked with healthy items (so those cookies don’t call your name!). Fresh veggies, fruits, nuts, healthy crackers, etc. are all good choices. So, having two avocados on hand and some great healthy chips to boot, we were on our way! We always have garlic on hand (fresh and the squeezable type) as well as fresh limes (and the squeezable type)….and of course, olive oil, too! 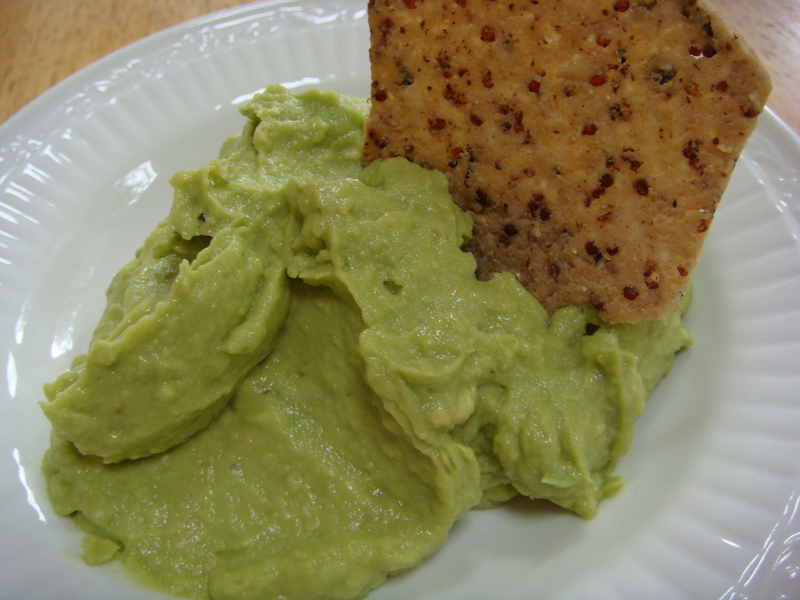 You simply pull out your Cuisinart blender or food processor (or use a fork) and pulse the avocadoes. After a few seconds, add 1 clove of fresh minced garlic (½ tsp of the squeezable), juice from ½ of a fresh lime (or a few squirts of the squeezable lime), some salt and pepper, and then a swirl of olive oil. If you need a little more oil, stop the processor and add a little more. Again, if you need more salt and pepper, add it or if you want a little more lime, add that! 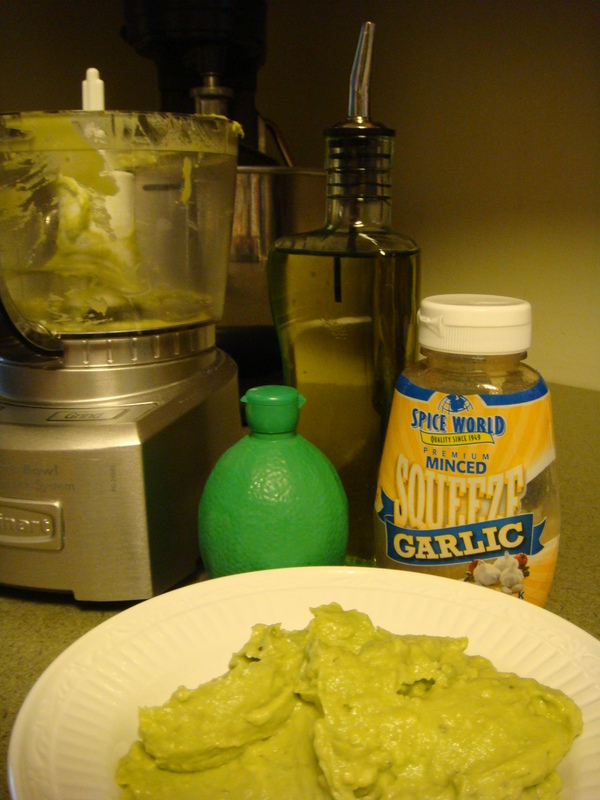 It’s your guacamole….make your taste buds happy! We like our guacamole simple, so that the avocado is the star! No need to add extra ingredients….this is a no-fuss, no-muss recipe! And the best part is that this recipe took less than 5 minutes! Trader Joe’s is a great place to shop and we have been so fortunate to have a member of our family who travels the state of Pennsylvania and never forgets about our gluten-free lifestyle! He is our husband and father, Lewie….great guy, always on the lookout for things we can eat! When you enter their store, you can ask an associate for a gluten-free listing of foods available. Here is a link to it if you want to look it over! Quinoa & Black Bean Infused Tortilla Chips are a favorite item that we have tried at Trader Joe’s and everyone who eats them….well, let’s just say these chips disappear quickly! 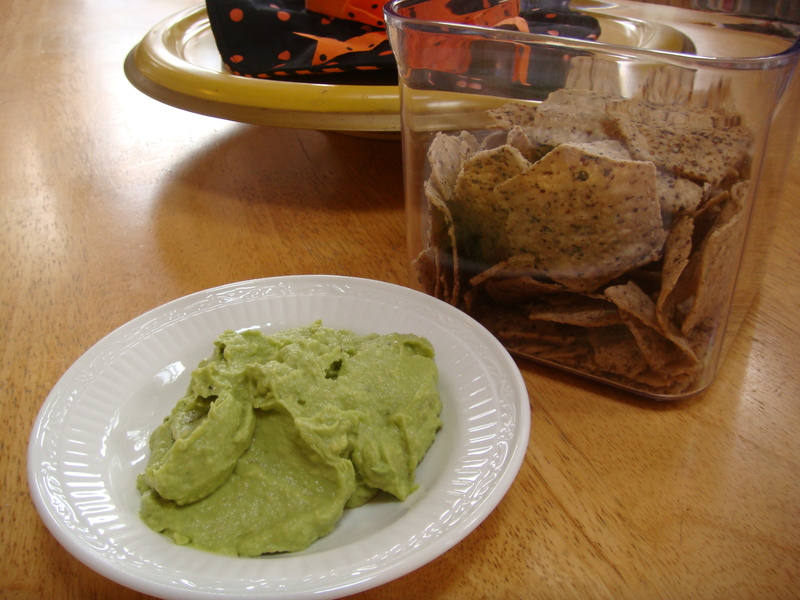 This guacamole goes well with healthy chips, carrots, celery, cucumber spears, or any other veggie you can dip with! So stock up your fridge with healthy food, and healthy snacks will be ready when you are! P.S. 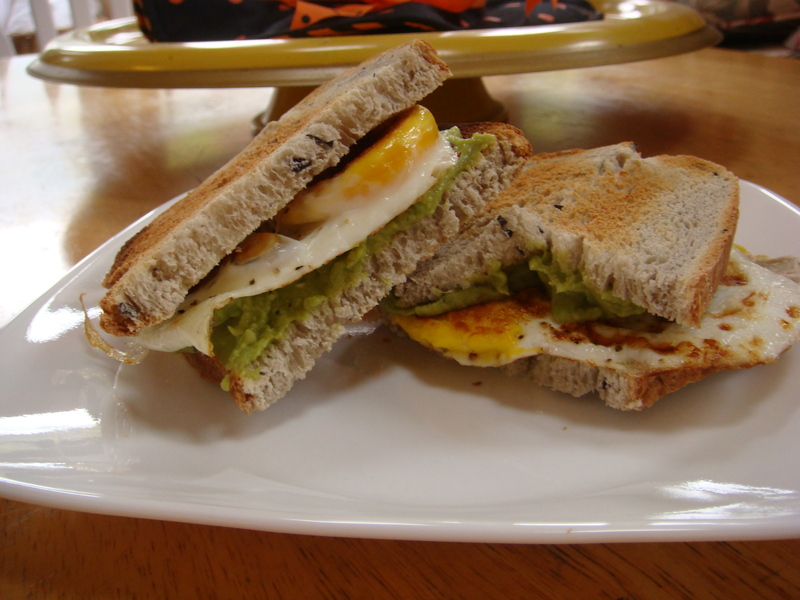 Next morning breakfast with leftover guacamole (wrap dish in plastic or place in sealed container)….fried egg with avocado on gluten-free toast! My favorite fruit has its own holiday! 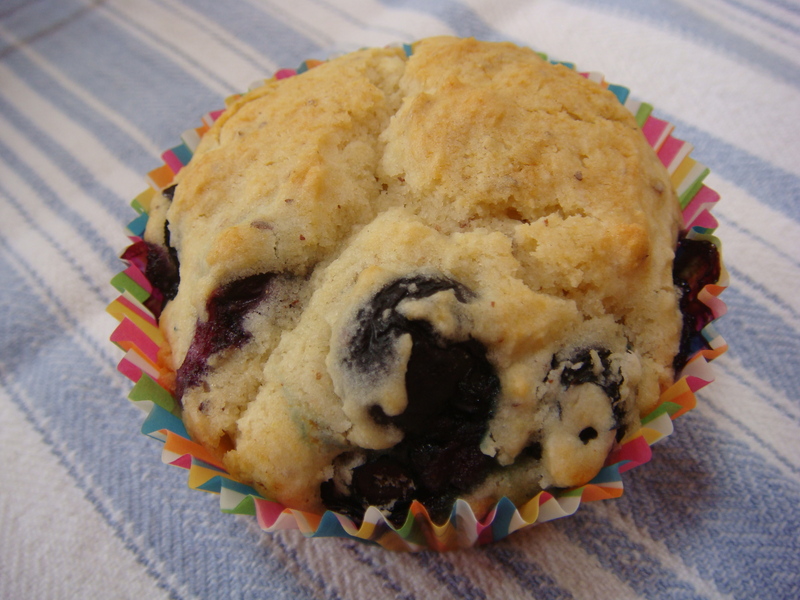 It’s National Blueberry Muffin Day! Oh blueberries….my favorite little fruit. I eat some every morning on my cereal or just a bowl full. Any way I can get them, I do. Full of antioxidants and just pure joy! Do you think I love blueberries? Researchers say that fresh blueberries are an excellent source of fiber, provide vitamin C and iron, as well as have antioxidant power. Findings show that these little powerhouses can protect against certain types of cancer and help with memory. Blueberries may also protect against urinary tract infections and intestinal upsets….just like their cousin the cranberry! 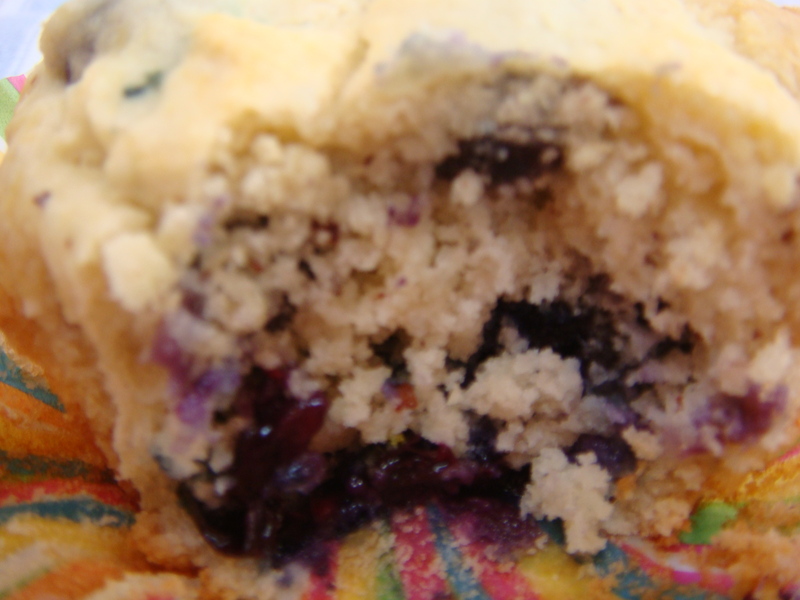 My favorite way to eat them is, of course, raw, but who can pass up a great blueberry muffin? 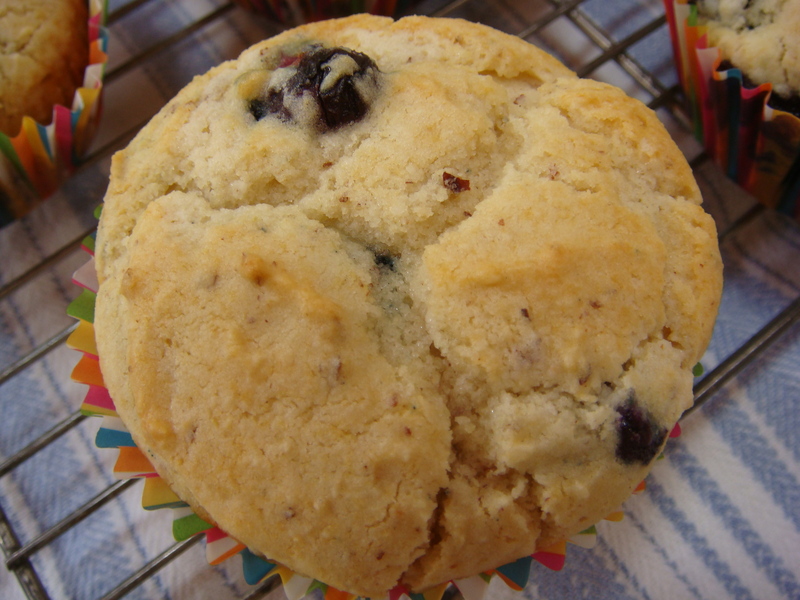 After trying many, many recipes for blueberry muffins, we tweaked combinations of ingredients and this is what we came up with! 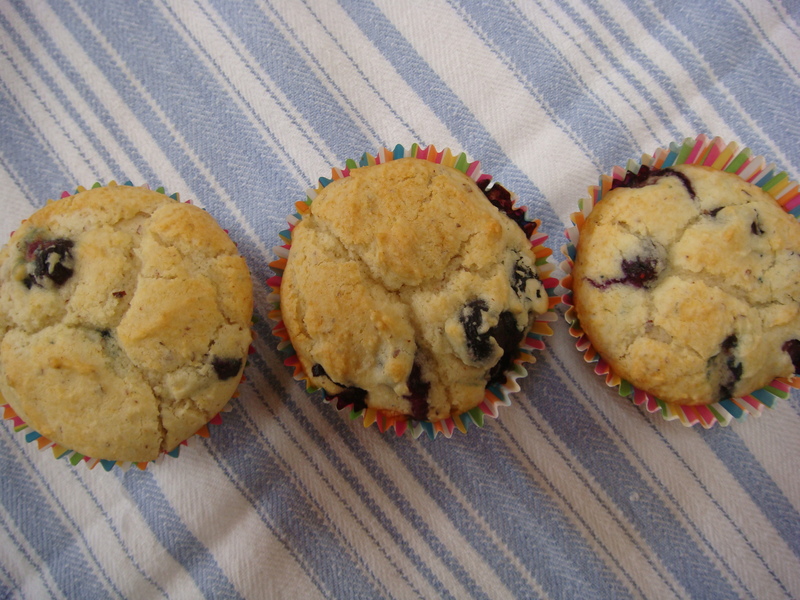 A lovely little muffin that gets its sweetness from the fresh blueberries! Yum! Preheat oven to 350˚. 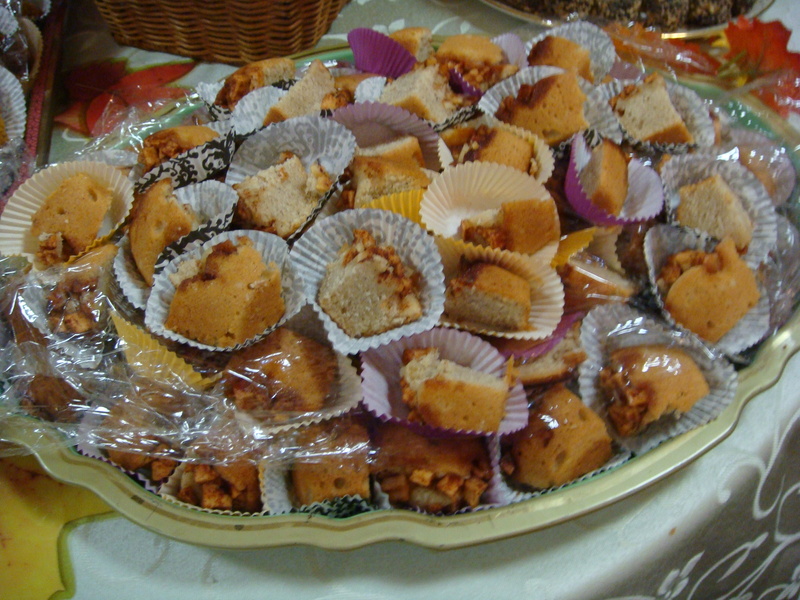 Place muffin (cupcake) papers into 12-cup muffin tin. Cream the butter and sugar in a large bowl. If using an electric mixer, this should take about 1 minute. Add your egg and combine until smooth and thoroughly incorporated. About 1 minute, too! Next add ½ of your dry ingredients and blend. Add your milk and incorporate. Finally, add the last of the dry ingredients and blend again. You should have a yummy fluffy dough. 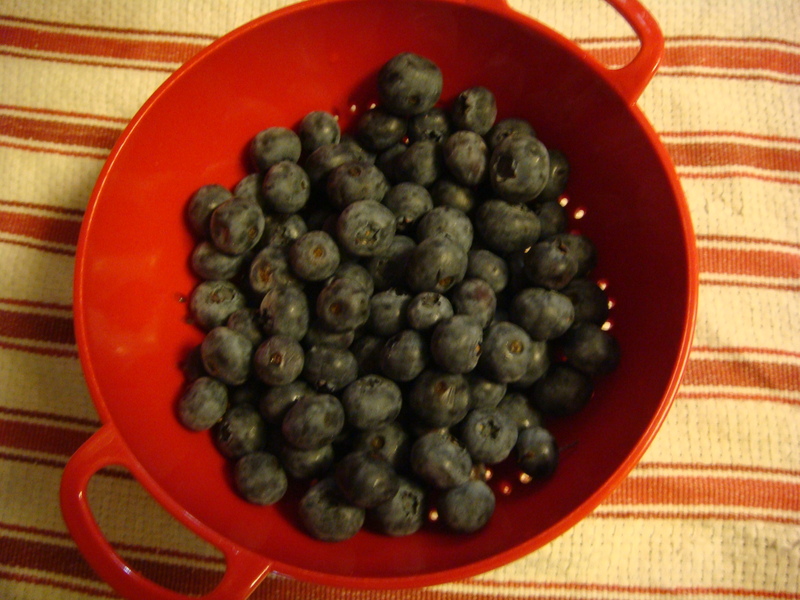 Take your fresh blueberries and coat them with the 1 T of brown rice flour in a small bowl. Now add the berries to the dough mixture and fold them in. Be careful not to break too many of them! 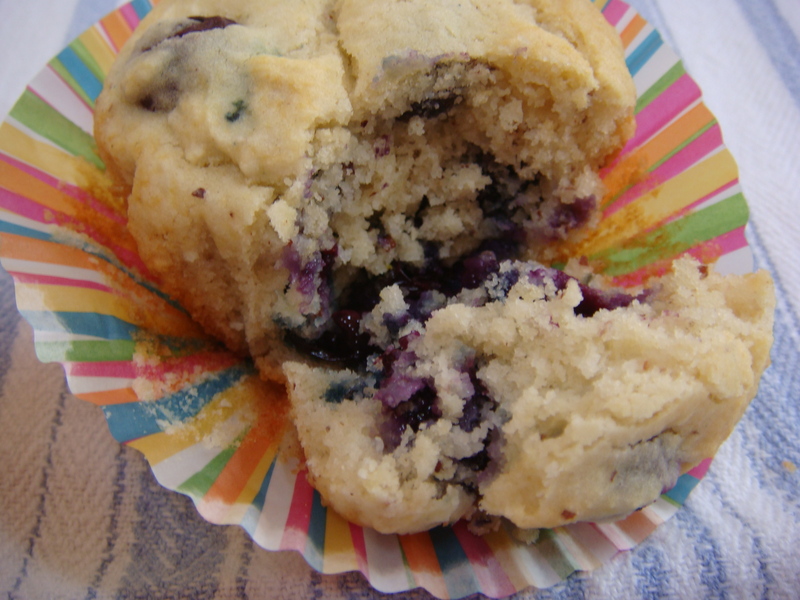 Using an ice cream scooper, fill each muffin cup with dough about ¾ full. Bake for 15-20 minutes until your muffins are golden brown and spring to the touch! 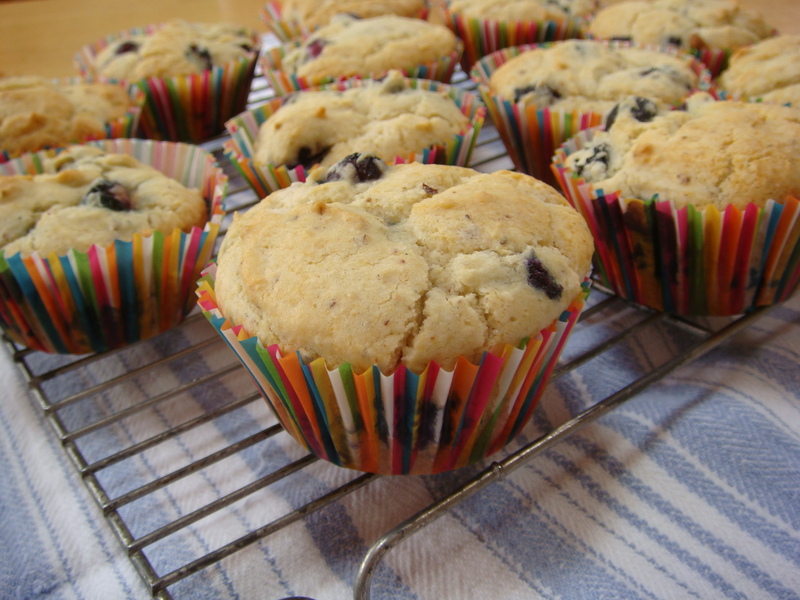 Once the muffins are baked to your liking, remove from oven and let cool on a wire rack for several minutes. Then remove from pan and let cool completely. Try not to eat all of them at once!! 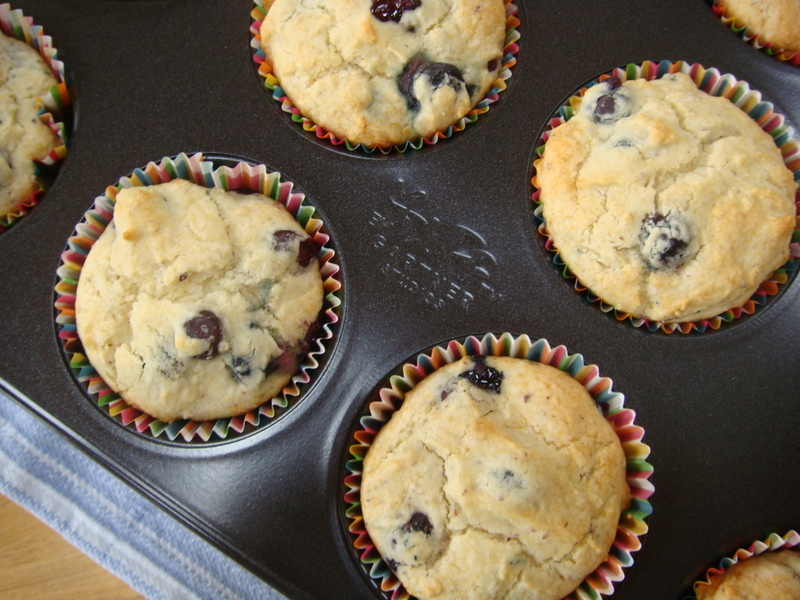 Yield 1 dozen delightful gluten-free blueberry muffins! Happy Baking! And eating, of course! Would you believe that 90% of all American households have a jar of peanut butter on their pantry shelf most of the time? If you live in our homes, we usually have at least two….we just LOVE peanut butter! 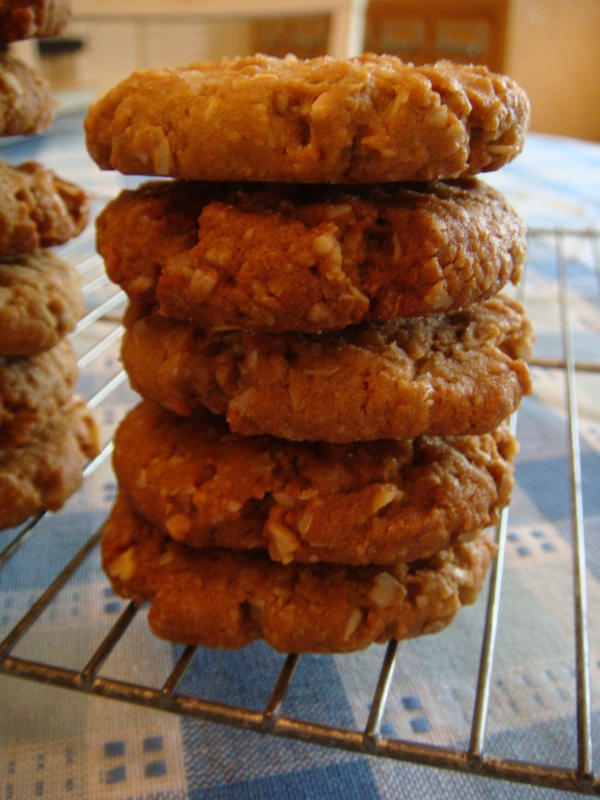 Peanut butter cookies have been around since the 1910s with the first recipe appearing in a cookbook of George Washington Carver’s. 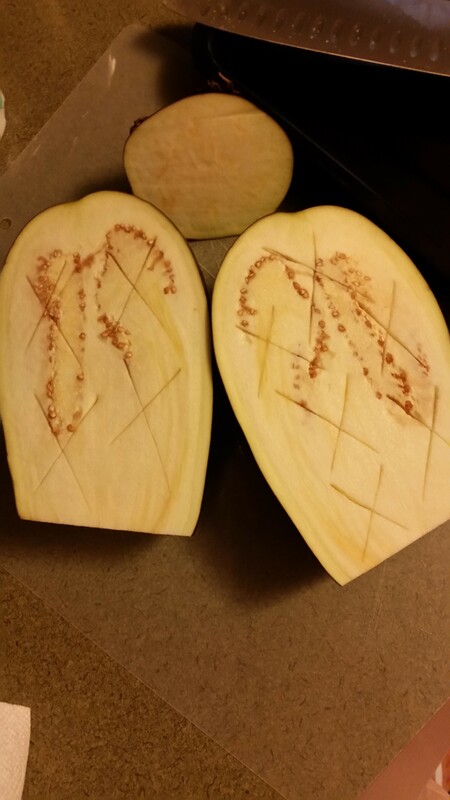 Now if you remember your history, Carver was a botanist and inventor who devised many uses of the peanut. His cookies called for chunks of peanut to be placed in cookie dough. 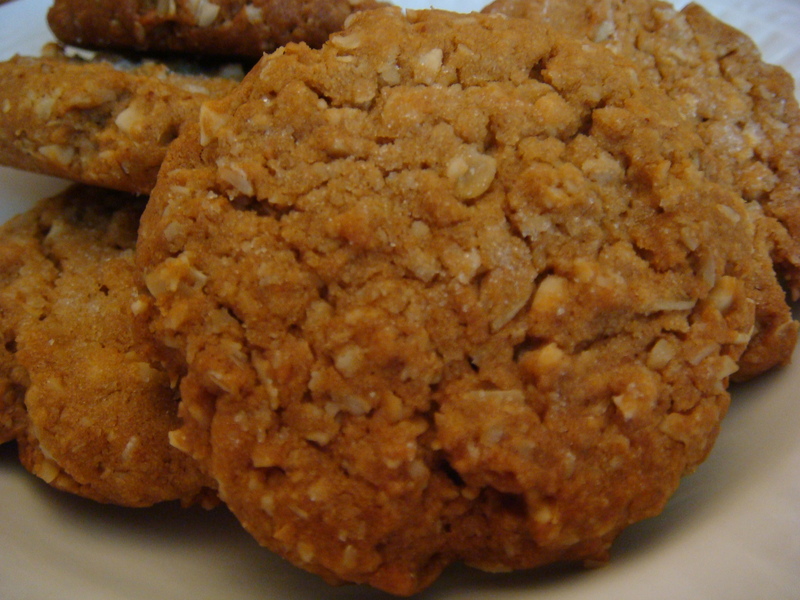 Peanut butter cookies, those made with peanut butter, made their appearance in households in the 1930s and have been a favorite ever since! 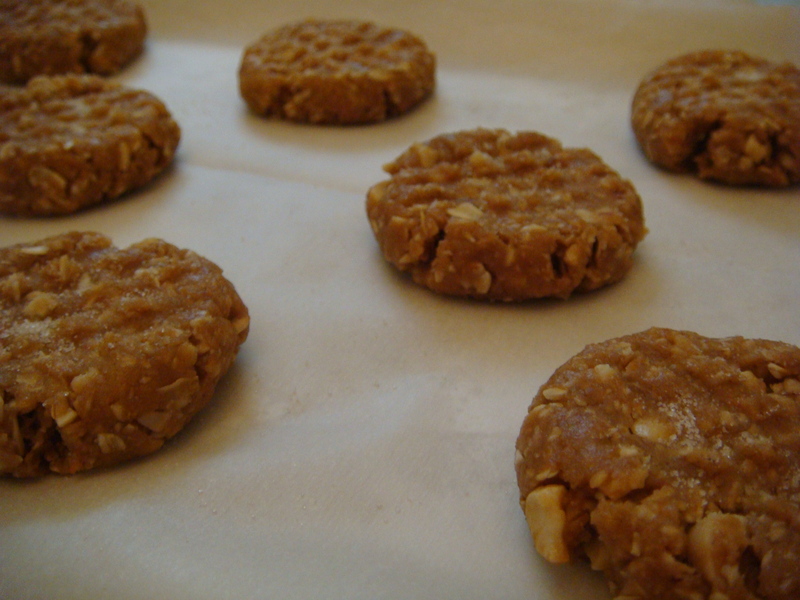 Why do peanut butter cookies have the famous criss-cross marks? It could be one of several reasons. 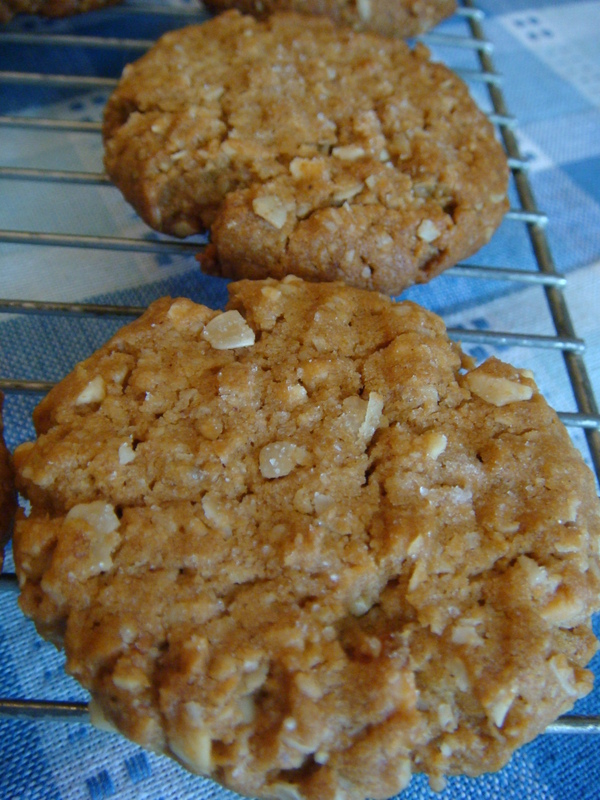 It might be that a tradition was established in 1936 when a recipe from a Pillsbury cookbook had the criss-cross marks in the instructions….or it might be that placing the marks allows for uniform baking of the cookie….or it might be that the marks originated to warn people who were allergic to peanuts, not to eat these cookies! 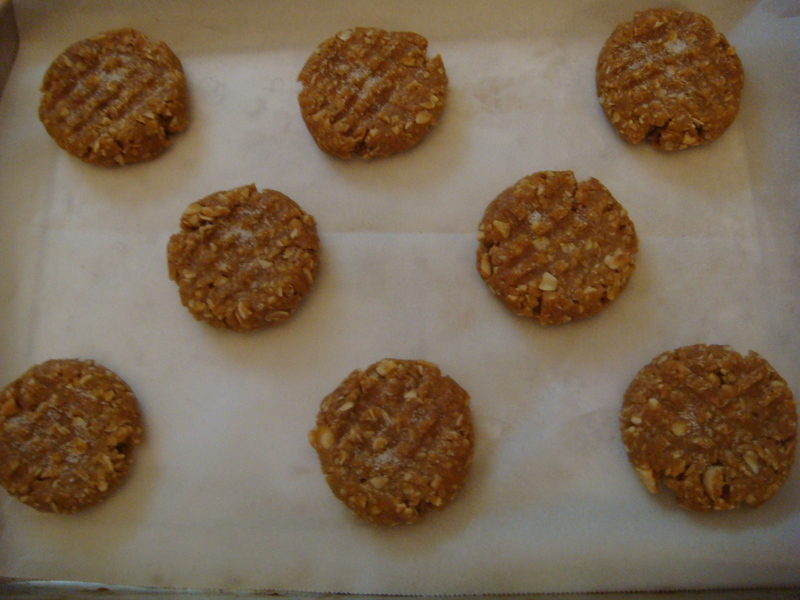 No one knows for sure, but the criss-cross marks make the peanut butter cookie unique! 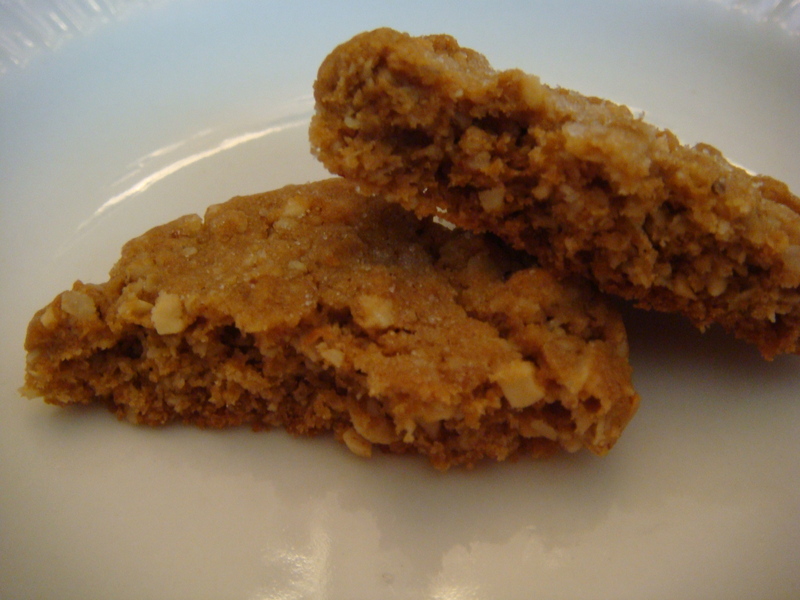 Wanting to use natural peanut butter and use less sugar than most peanut butter cookie recipes have, we came up with this recipe! Enjoy! Preheat oven to 350˚. Cover two baking pans with parchment paper. 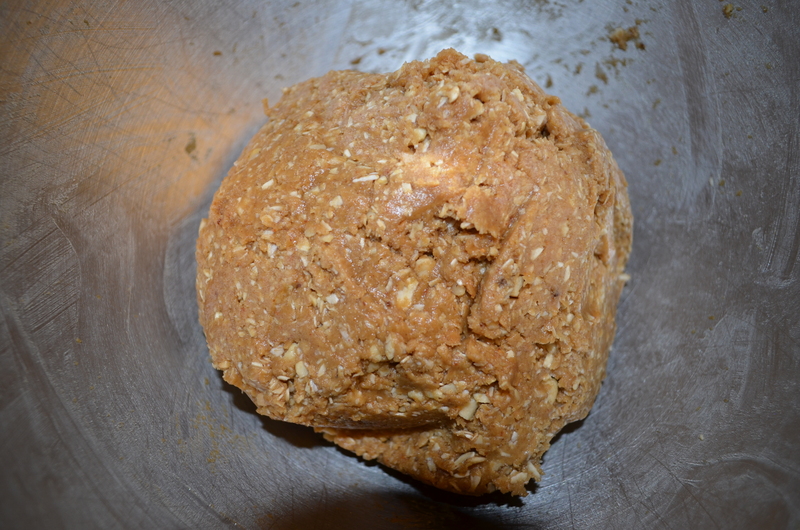 Cream the shortening, natural peanut butter, and brown sugar in a large bowl. Add your egg and vanilla and mix until smooth and thoroughly incorporated. Next add your dry ingredients and blend until a dough forms. 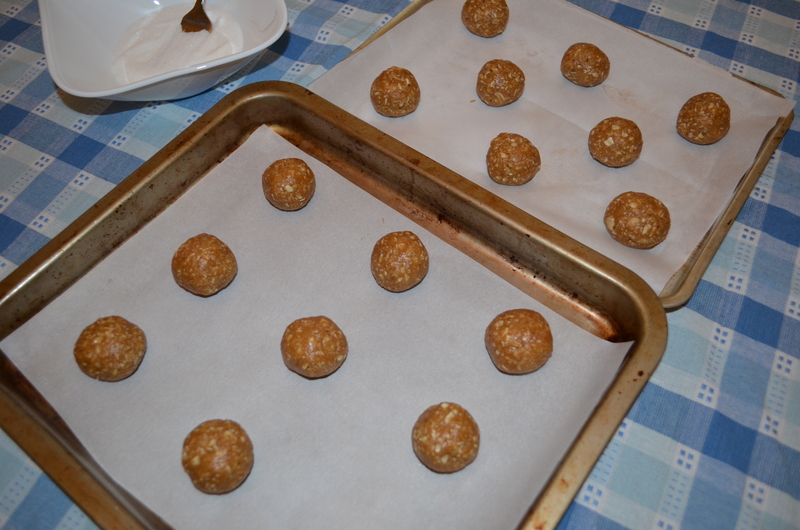 Roll dough into balls of about 1 tablespoon each. Place dough balls on baking sheet at least one and a half inches apart. Dip a fork into a bowl with granulated sugar and make a criss-cross on each cookie with the fork tines, as you flatten it. 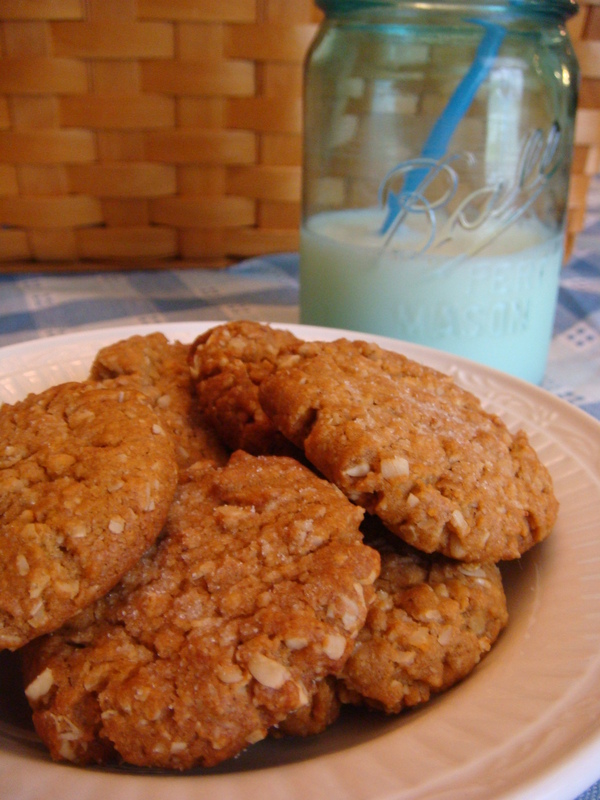 You can sprinkle a small amount of sugar on each cookie to top it off! Cool on wire racks for at least 3-5 minutes. Yield almost 3 dozen delightful cookies!